1 head of lettuce you can either cut it up into small pieces or use a whole leaf to wrap the meat in. Mix all of the spices together in a bowl. Put the chicken breasts into a crock pot. Pour the spices over the chicken breasts. Add some liquid to the crock pot with the chicken broth. Then put the chicken breasts into a mixing bowl with a paddle attachment and put the mixer on medium speed. 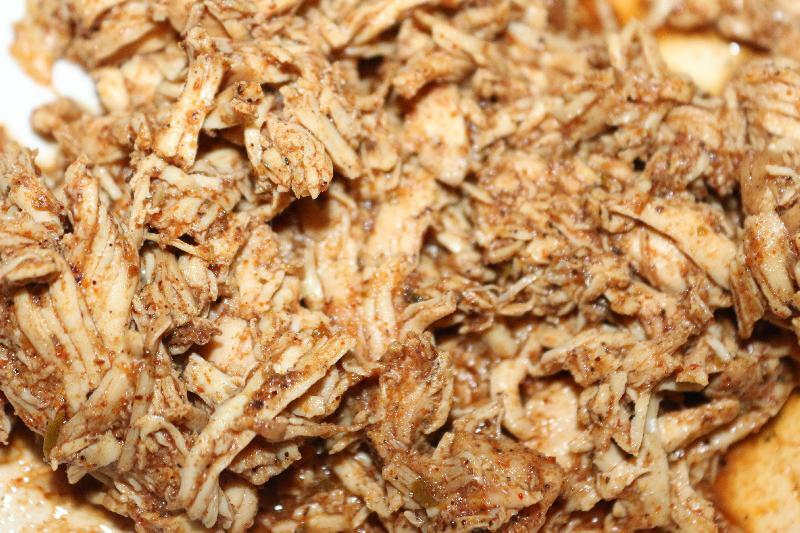 This is a quick way to shred chicken.You can always use forks to shred the chicken. Place the chicken back into the crock pot. I added a little more chicken broth and mixed it all up. 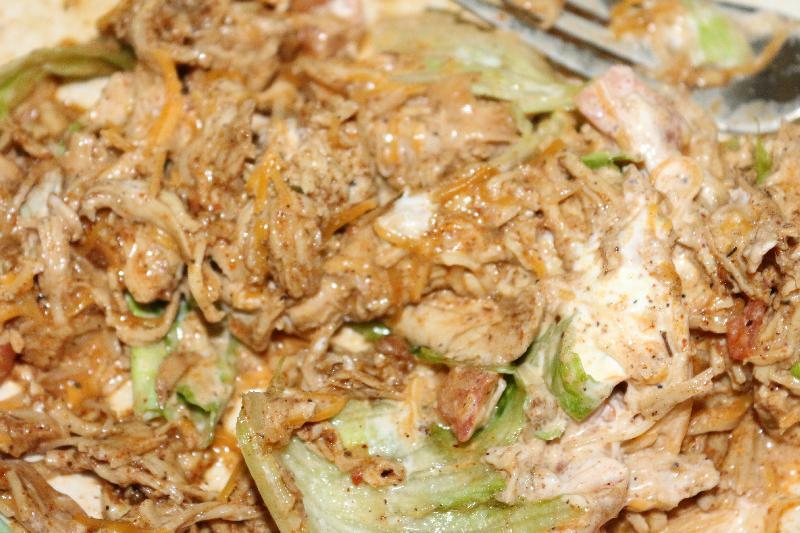 Serve the chicken on top of the lettuce. Top with your favorite taco toppings.